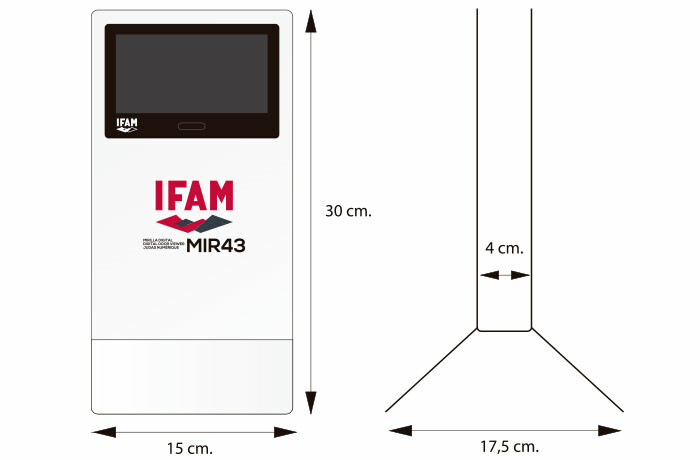 One of the main features of the MIR 43 Digital Door Viewer from IFAM is its 4,3-inch LCD screen, one of the biggest on the market. 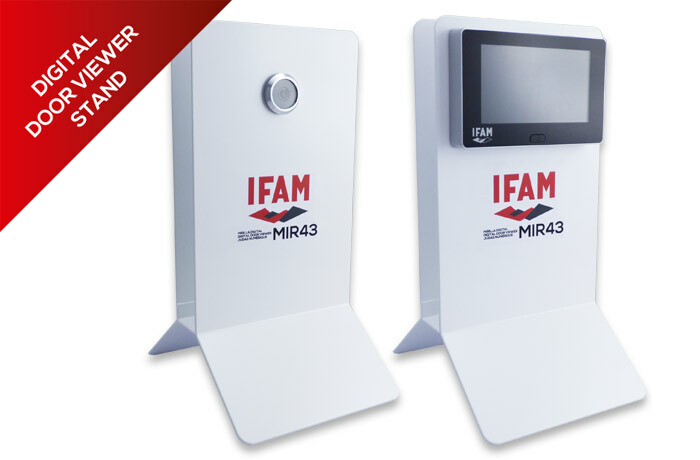 Now you can choose between telling it to your costumers and showing them how it works, thanks to the new stand IFAM has designed for showcasing the MIR 43 Digital Door Viewer. Its clean and resistant design, along with its easy assembling, will help you to achieve the best look for your counter. Dimensions: 150mm base x 300mm height x 175mm width. Easy assembling (including a metal cylinder which brings extra-strength to the stand).